It has always been a personal goal of mine to become fitter. Not in the gym-rat-works-out-5-times-a-week way, but more of an I-am-making-a-concious-effort way. I find life takes hold and I forget to do activities that keep me fit and feeling good. I decided about two weeks ago that I wanted to get back into yoga, however I didn’t want to pay for a class. With my schedule as hectic as it is, I started looking online for a yoga routine that I could do at home. It was then that I stumbled upon Yoga with Adriene. I started her 30 day yoga challenge about 2 weeks ago (I’m on day 12 right now) and I have been feeling great. 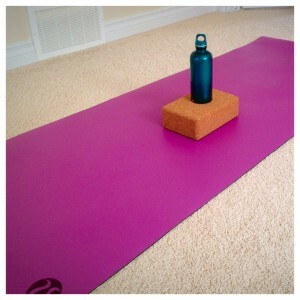 It’s pretty easy to make time in my day for a 12-30 minute yoga session at home. If you want to check out the challenge just click the link here. I will give you fair warning that I almost gave up around day 3-4. I was sore and just didn’t want to continue, but I pushed through and by day 5 I felt awesome and wasn’t sore or tired from doing yoga anymore. I think it’s probably because I haven’t done yoga in over a year, but if you allow yourself to work through it and do just one more day it gets easier. This entry was posted in Travel/Lifestyle and tagged fitness, yoga by Sarah. Bookmark the permalink.